For the second time in a month, Delta police have seized a large cache of poppy seed pods used for making the addictive drug, doda. 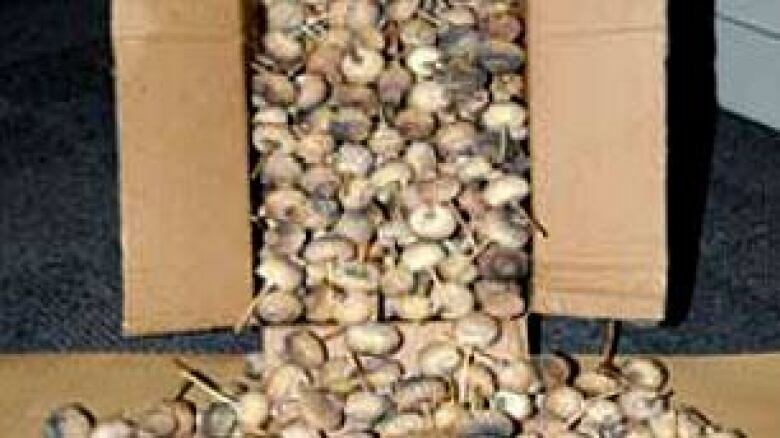 One of the boxes of poppy pods seized in the latest Delta bust are seen in this photograph provided by local police. 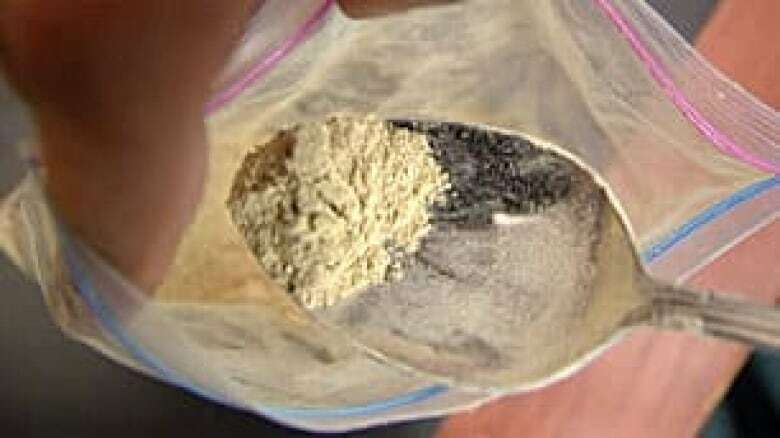 (Delta police) For the second time in one month, Delta police have seized a large cache of poppy seed pods used for making the addictive drug, doda. In a raid Friday in the 8600 block of 120th Street, investigators found 132 boxes of the pods, said Sgt. Sharlene Brooks revealed Tuesday. There were about 36,000 pods in the boxes, worth an estimated $760,000, Brooks said. No arrests have been made in connection with this latest seizure in the municipality south of Vancouver. In mid-August, Delta police said they'd found 3,600 opium poppy pods along with six kilograms of the drug doda and took a 47-year-old Surrey man into custody. Doda is a powder made from opium poppies and brewed into a tea. ((CBC))Just days before that, the Chilliwack RCMP busted a three-hectare opium poppy farm in the Fraser Valley, the biggest opium operation police had ever seen in Canada. Doda is a powder derived from poppy pods and is often mixed as a tea. Addiction counsellors in Vancouver's South Asian community say doda addiction is a growing concern and is second only to alcohol addiction in prevalence among community members. Canada's biggest opium poppy field busted in B.C.